Live Laugh Run Breathe: Thankful Thursday: Another Sponsor! Good morning loverlies! Today is Thursday, and while it's important to give thanks for the good in your life everyday, today is the day I've set aside to give thanks here. First of all, I'd like to give thanks to my newest 26.2 sponsor, Ann, from She's Gonna Blow!!! Ann has been one of my biggest cheerleaders for as long as I can remember. She's a mom of 2 (a 20-year-old in college and a 7-year-old she homeschools). 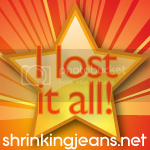 She's participated in countless challenges with Shrinking Jeans and has lost 30 pounds!! Right now, Ann is training for the Komen 3-day Walk for Breast Cancer. 60 miles over 3 days - that's like 2.3 MARATHONS in 3 days!!!! That is freaking A.MAZ.ING. (Please go visit her fundraising page and donate if you can. This is a cause near and dear to so many of us.) The weekend of my marathon, Ann is walking 18 miles on Saturday and 8 miles on Sunday. She said she'd take either of those miles to "run" with me. Since I have my first 18 mile run this weekend, Ann is getting mile 18! Thank you so much Ann. Your faith in me means the world to me. MWAH! Next, I am giving thanks for my talented, intelligent children. They are entering high school this year (9th grade) and I am so proud of both of them. D is taking 3 honors classes, made the varsity/competition marching band, and made the jazz band (which practices before school as a zero-hour class). K is taking 2 honors classes, 10th grade Spanish, is also in the varsity/competition marching band, and is on the varsity diving team. I know I complain about how busy our schedule is and how crazy these two make me sometimes, but I honestly couldn't ask for better kids. Lastly, I'd like to give thanks for this morning's mild weather and the training that allowed me to run an honest-to-gosh sub-30 5k this morning! I don't feel like I'm getting any faster because I've had all these uber-long runs that require me to conserve my energy, but then I go out and run 3.12 in 28:21!! Who am I? I'm a freaking RUNNER is who I am! Would you like to join Ann, Ben, Erin, Andrea and Lisa in supporting me as I train to finish my first full marathon, the Grand Rapids Marathon? I have set up a sponsorship page in which you can help me reach my goal of crossing the finish line (sponsorship will help pay for race fees, nutrition/hydration, shoes, etc). 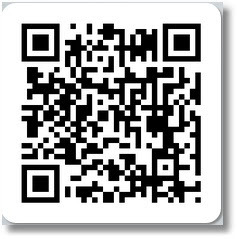 You can click HERE, or click on the tab above. I would love and appreciate any support you can give me. 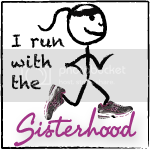 Bloggy and linky love will follow, as well as the ability to sponsor individual miles and run "with" me on October 16th. I cherish all the love and support my readers have given me this year. I wouldn't be attempting this race without you.